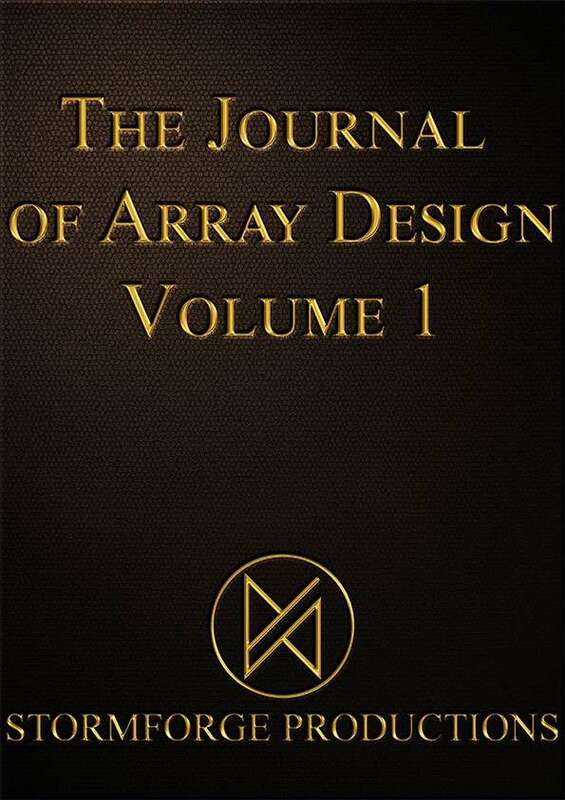 The first volume of our annual Journal of Array Design is now available for you in card form. This journal will collect and display all the arrays that Stormforge Productions create and is there for you to use as a tool and reference guide during your games. It's now easier than ever to tell and show just exactly what sort of array you are using in your games. Each array has its own notation along with its image to show you exactly how it works and in many cases how it can be modified to fit better to what you want to do in your games and adventures. Looking for the Journal itself, click here to find out all about the runic arrays and how they work. Hi, is there any chance of sharing a PDF preview of a few of these cards? I'm not in the US, so postage on cards is a bit high (for some reason, unlike POD books, POD cards are all manufactured in the States and then posted from there), and I'd like to understand exactly what these look like before committing to buying them. We're having a bit of an issue with our PDF previews, but we will get them up as soon as possible. In the mean time we have fixed the quick preview as well as putting the pdf copy of the cards up for free! If you have any further problems, please feel free to contact us and we'll try and get it sorted as soon as possible. This title was added to our catalog on July 07, 2016.